In 1956 S.L. Goodman received a construction permit from the Federal Communications Commission for a new AM standard broadcast station to be located on 1420 KC in Gloucester, Virginia. The new station would operate daytime hours only Sunrise to Sunset with a power of 1000 watts. The call letters of the station were to be WRIP-AM, I guess Mr. Goodman decided not to burden his new enterprise with those call letters and changed them to WDDY-AM “WOODY RADIO” as it was known from January 20, 1957, the day the station signed on for the very first time, until September 1988 when the call signs were changed to WXGM-AM, but I am getting ahead of myself. Mr. Goodman sold the station to WDDY, Inc. owned by Mr. Charles E. Springer in less than a year. Mr. Springer would operate WDDY-AM until it was sold to Cape Radio Inc. owned by Mr. Arthur Lazarow and his wife Joan. Cape Radio operated WDDY-AM from June 16, 1958 until June 9, 1981. In December of 1980, Cape Radio, Inc. entered into an agreement with Mr. William L. Eure and Mr. Thomas W. Robinson to purchase the assets of Cape Radio, Inc. for $150,000.00. Tom Robinson took over operations of WDDY-AM on June 10, 1981 just six days less than 22 years of ownership by the Lazarow’s. 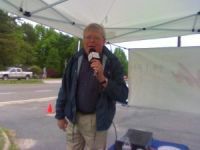 Mr. Robinson has owned and operated the station since June of 1981 till the present time with ownership being transferred from WDDY, Inc. to WXGM, Inc. in 1989, buying out the interest of Mr. Eure at that time. In 1981 WDDY, Inc. filed its intention to apply for a FM frequency that had become available that year in an FCC docket called “80-90”, this docket opened up to many areas in the nation for the first time, full time station on the FM band. To make a very long and expensive story short, after jumping through more hoops that I would like to talk about the FCC granted the FM construction permit to WXGM, Inc in 1990 with WXGM-FM “Xtra 99.1 FM” signing on the air on July 11, 1991 simulcasting it’s programming with it’s sister AM station. 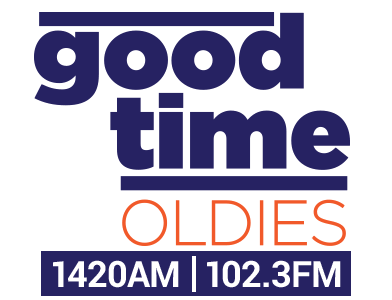 In May of 2004 WXGM-AM split off from its FM sister and now programs “Good Time Oldies” featuring music of the 50’s, 60’s,70's and early 80’s, no longer a daytime only station WXGM-AM operates 24 hours a day. In 2018 WXGM-AM applied to the FCC for and was awarded an FM Translator operating at 102.3 FM with 250 watts. This addition covers the Middle Peninsula and parts of York County, James City County and the City of Williamsburg. Now WXGM-AM is known as Good Time Oldies 1420 AM and 102.3 FM. WDDY-AM now WXGM-AM/FM has been located in four different locations. The first being on Main Street in a very small wooden building that would be torn down to make way for The Bank of Gloucester which became First Virginia Bank, now Direct Access Internal Medicine. The second location was a move down the street to the Coca Cola Building where it stayed until 1991. In 1991 with the advent of WXGM-FM more space was needed and the station moved to Rt. 17 North, just in front of Hudgins GMC. In 1996 WXGM AM/FM moved into it’s present location in the Short Lane Professional Park, at 6267 Professional Drive, this move also marked the first time WXGM had studios built especially for radio use. The staff of WXGM-AM/FM represents over 200 years of broadcast experience in both large, medium and small markets. WXGM AM/FM offers the best in local programming, news, production, and sales to the Middle Peninsula and Peninsula. And we are looking forward to serving Gloucester and the surrounding communities for many years to come. For more information on sales or programming offered by WXGM AM/FM call 804-693-2105 or check out our web site at XTRA99.com.